The KA-10 system includes KA-10R, KA-10T (KA-8TH), KAC50X / KAC150 cable, TG-10CH2, shoe mount adapter, and CM-201 microphone. 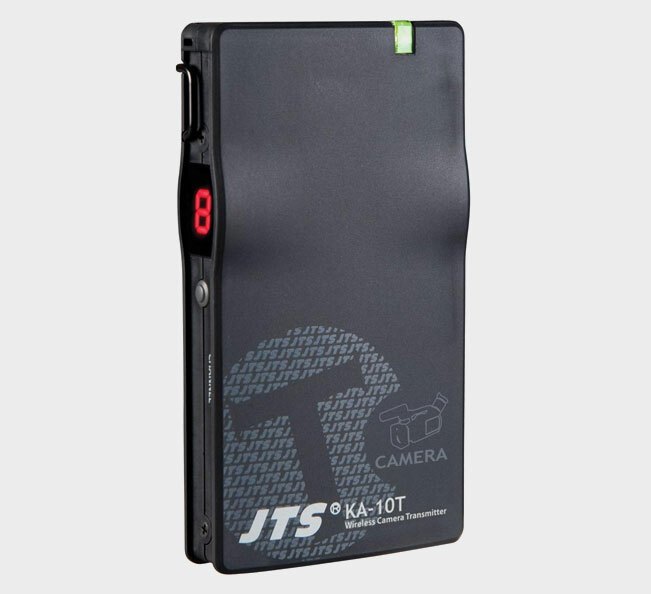 It is designed for both professional and consumer video camera. The CM-201 provides omni-directional pick up pattern to expand the coverage to mike a meeting. Lithium battery can goes for 14 hours which is useful for travel. UHF PLL 16 selectable frequency can render multi system application. Over 60 meter operation distance virtually meets all kinds of application.